Changing the classification of maple syrup | ReLocavore: Redefining "local"
I usually by grade B maple syrup. It tastes more like maple, and is less sweet.it seems that the grades of maple syrup are changing. I now need to buy grade A, dark with robust taste maple syrup. Hrumpth. Categories: Cooking, retail | Tags: grade A, grade B, light syrup, Maple, maple syrup | Permalink. So wait…is that just for Vermont? Or everywhere? 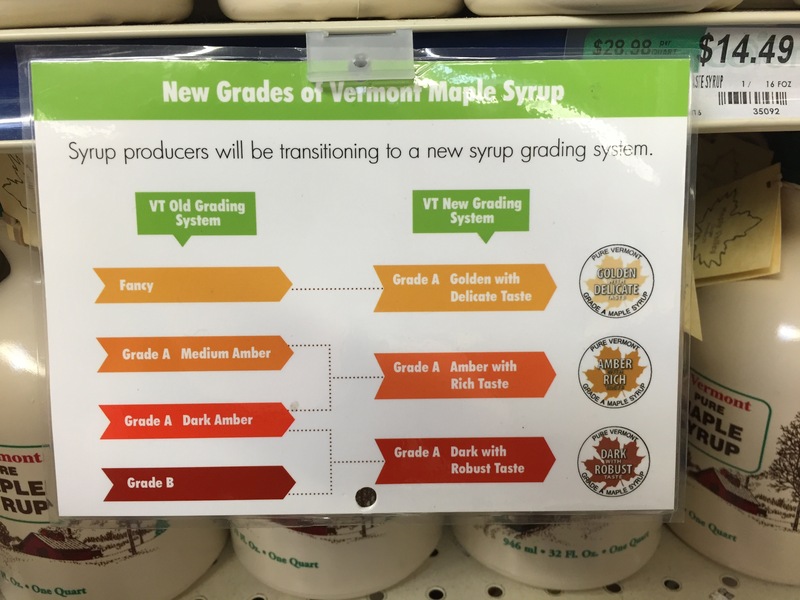 Vermont started the trend and the USDA updated their national guidelines in Fall 2015. I suspect this season is still a mishmash of different names, but buy 2017 season it will be settled. No more grade B.